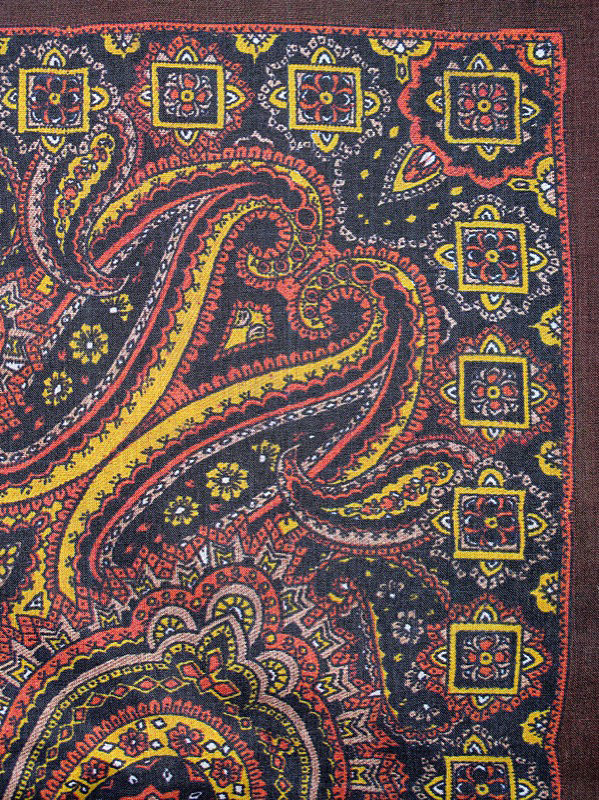 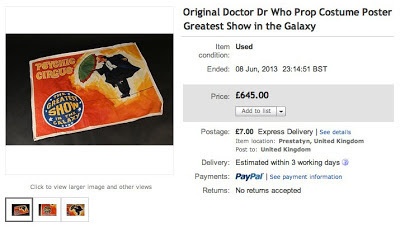 A few more original costume pieces from the Seventh Doctor era have popped up on eBay. Here we have an incredibly rare opportunity to aquire a screen used Hankie/hat band from Sylvester McCoy's final Season 26 costume, almost nothing exists privatly of his final season costume as very little multiples were made due to the program being axed at the end of the season. 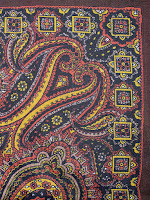 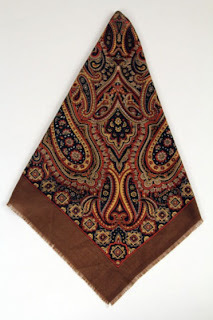 During the 2010 Bonhams Dr Who auction of all the 100's of lots only one included a Dr's costume piece such is their rarity, I know of only 3 season 26 Hankies. 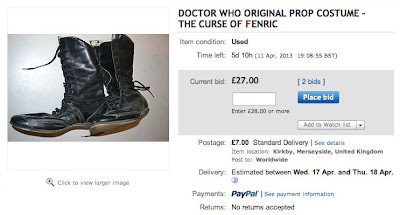 This is a pair of boots worn by a Haemovore in the 1989 Doctor Who story The Curse of Fenric. 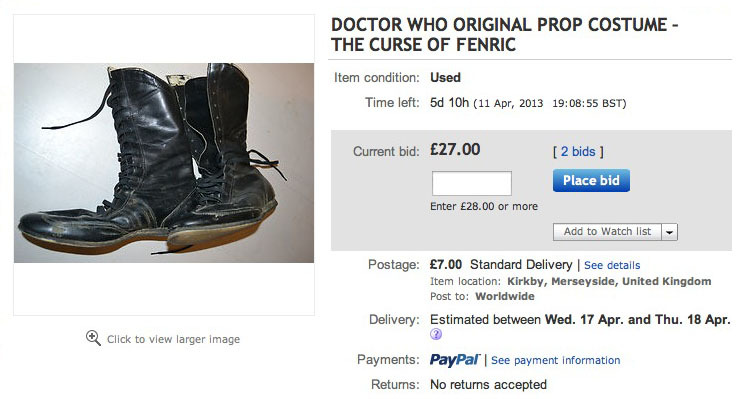 They were purchased as part of an almost complete costume several years ago. 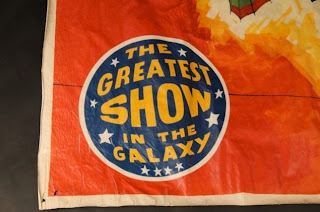 Having sold the bulk of the costume on, I’ve since found these at the back of a cupboard! They’re a fun item if nothing else! 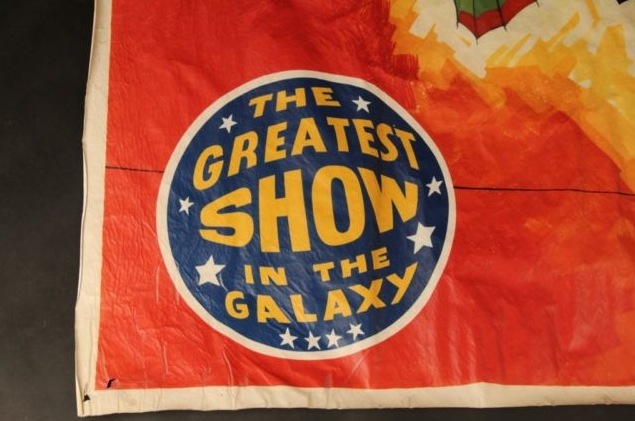 Here we have an original Psychic Circus poster screen used in the 1988 Sylvester McCoy story Greatest Show in the Galaxy. 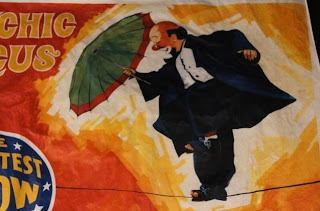 The poster is made from vinal and is extremely detailed with lovely vibrant colour, it measures 39inch by 29inch so is very large and looks wonderfull on display, I have been collecting for 23 years and have not seen another.